Writing about my experience abroad is much harder than I thought. When I boarded that plane I had no idea what was in store for me. Leaving my hometown and school behind was a scary thought; little did I know that I was about to embark on the most amazing, life changing journey. Studying abroad wasn’t something that I had planned to do. I am a little bit of a home body and the thought of spending 4 months in a foreign country was scary. I signed up on a whim and with encouragement from my family. Orlina Boteva in the study abroad office helped me with my plans. 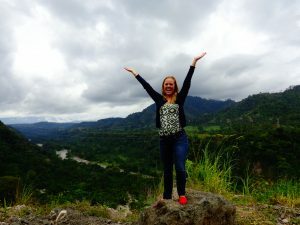 Lauren Aceto, BSN class of 2015, traveled to Costa Rica in Fall semester, 2012. Lauren is from Scarborough, Maine. Spending my fall semester of sophomore year in Heredia, Costa Rica, ended up being even more amazing than I had ever imagined. My whole life I’ve wanted to travel and experience different cultures, so when I found out as a senior in high school that the UMaine nursing program allows students to study abroad, I was sold. I went to the UM Office of International Programs in the fall of my freshman year, and, after talking to the people there and checking out different locations, I decided to go to Heredia, Costa Rica. It sounded like a perfect place for me to go – Spanish speaking, friendly people, beautiful geography, and a slower pace of life. Last semester, I had the time of my life for four months in Spain. 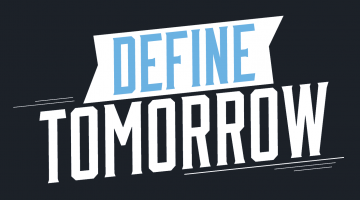 Studying abroad was something I always wanted to do, so I started looking into the process my freshman year at UMaine through the Study Abroad office. After meeting with a few directors in the Study Abroad office and the nursing program, I discovered that fall semester of sophomore year was the prime time to travel and still be able to graduate in four years as a nurse. To tell the truth, I never planned on going to Spain. I opened a USAC handbook one day to Alicante, Spain and read about the warm climate, beaches, and colorful culture and immediately knew that this place was perfect for me. By August 31st, I was on a plane overseas! 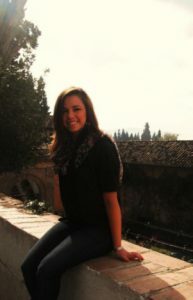 Hannah Bambrick, BSN Class of 2013, spent Fall semester 2010 in Bulgaria. Hannah is a member of the National Society of Collegiate Scholars. I spent Fall 2010 semester in the seldom known, but amazing, country of Bulgaria. As a nursing major I didn’t think this opportunity was even possible, but then I found out it was! To study abroad as a nursing major all you have to do is go your first semester of sophomore year or before. So that’s what I did. The Study Abroad Office helped me through every step of the process. I found it was possible, found a program, and within a couple months I had already been approved for the American University in Bulgaria, AUBG. I didn’t know too much about the area before leaving on a jet plane; there is only so much you can learn from Google. My study abroad advisor, Orlina Boteva, is from Bulgaria originally, so she provided priceless advice. But, to be honest, with as much advice as you can possibly get and all the information you can gather on the internet, there is nothing to prepare you for actually going and living abroad. My first thoughts about Bulgaria were blurred with jet lag, confusion, and the beginnings of homesickness. After only a couple days I began adjusting and immediately making friends. These new friends quickly transformed into travel companions as I began to discover the beauty of Bulgaria. 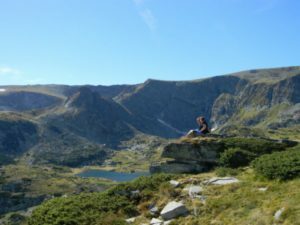 I travelled to Dobrinishte to experience the natural mineral pools, to Plovdiv to see the oldest amphitheatre in Europe, to the Seven Lakes in the Rila Mountain to see a view that changed my life. The beauty of the country captivated me then, and still continues to do still today. Every day brought new discoveries and adventure. They are all described on My blog: Little amusements of everyday life, lots of travel experiences, and also some crazy things that have all changed me and my life for the better. My first glimpses of Bulgaria were the vintage communist buildings towering on the streets of Sofia during my taxi ride to Blagoevgrad, my new home. All I kept thinking was “what am I doing here?! ?” Now I think of Blagoevgrad as a home. I could walk along the streets, with the Christmas lights, the snow, the little old people, and even the stray dogs, and couldn’t help but think “why am I leaving?” I’m sure I’ll go back. I built a home there, and I will forever feel part Bulgarian. Since I was a little kid I knew I more than wanted to study abroad… I needed to. I always felt that Bangor, Maine, was a little bit too small for me. Now I’ve seen the world – Bulgaria, Turkey, France, Belgium, the Netherlands – and I know that I was meant for greater things. This experience has reassured my choice in becoming a nurse. A nurse can change the world. My name is Allison Doe, I am a nursing student at the University of Maine with a strong passion for traveling. Dr. Fishwick of the UMaine Nursing program, asked that I share some of my experiences from South America with my fellow Nursing students. Before I begin, I thought I’d build a bit of context for all who are interested. The summer after high school graduation, I boarded an airplane to Ecuador. My plan was to live eight months in Quito, exchanging families with an Ecuadorian student (who I now consider my sister), take classes at the university, and do a bit of sightseeing. I was a young 18 year old from a small Maine town who had no idea what I was walking into. Ecuador impacted me deeply on many levels. I fell in love with its beauty, energy and hospitality. To this day I wake up every morning thinking of tree-ripened mangos and the colors of the Amazon after a rainfall. As beautiful as I found the country, the poverty in Quito made a permanent impression on me. One afternoon, after watching a stirring news segment from the emergency room of Children’s Hospital Baca Ortiz, I decided to jump on board with the Damas Voluntarias, a volunteer group based out of the hospital. At the end of my first day of work, pressing both palms on the room divider to keep from fainting in the surgical unit, I studied the faces of the children in front of me. It was precisely that moment at which I decided to study nursing. So here I am, at the University of Maine. 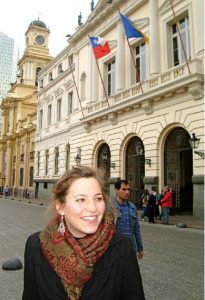 Through a direct exchange with UMaine’s Study Abroad program, I had the opportunity to study in Santiago, Chile, in Fall semester 2009. In Santiago I worked with the Chilean Red Cross interviewing immigrants for their research project on a new approach to health education. The people I encountered have only solidified my love for the field of nursing.